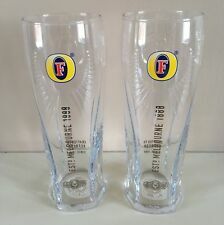 Peroni Pint Glasses x 2 new/unused. 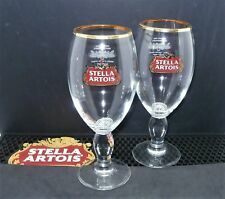 5 out of 5 stars - Peroni Pint Glasses (Set of 2) . 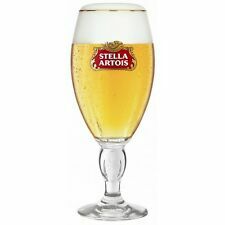 17 product ratings17 product ratings - Peroni Pint Glasses (Set of 2) . You are buying a box of 12 Camden Town (20 oz) pint glasses. Just £12 per box. 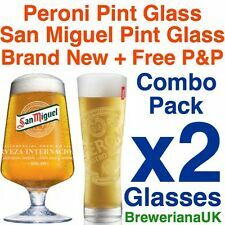 Peroni Half Pint Glasses x2. New And Unused. Official BEERMATS NOT INCLUDED DISPLAY ONLY. Size - 50cl. Quantity - 1 glass. These are NEW straight out of the box. They are made of clear glass despite the background in the photos giving them a bit of a 'smokey' finish. Condition is new, mint condition. 33cl (330ml), 19cm tall and over 6cm across the top each. CE stamped (M16). Very rare glasses and hard to get. Strong thick glass. Perfect collectors set. Over 280g of weight each (without the box). nd Class to 1. 33cl (330ml) and 19cm tall each. Strong thick glass. Collection available in person from Rushden, Northamptonshire, about 6 minutes way from A45 and/or A6, NN10 area. 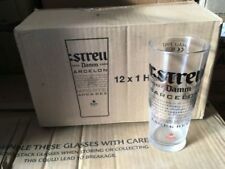 2 X Peroni Nastrol Azzurro Half Pint Glasses CE New Pub Bar Gift Man Cave. Condition is New. Dispatched with Royal Mail 2nd Class. PLASTIC 2/3 PINT GLASS ACRYLIC. Re useable. 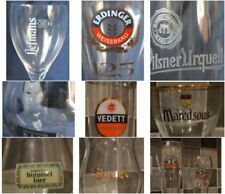 Vintage Meteor Alsace Beer Glass Gilt Rim 25 cl.